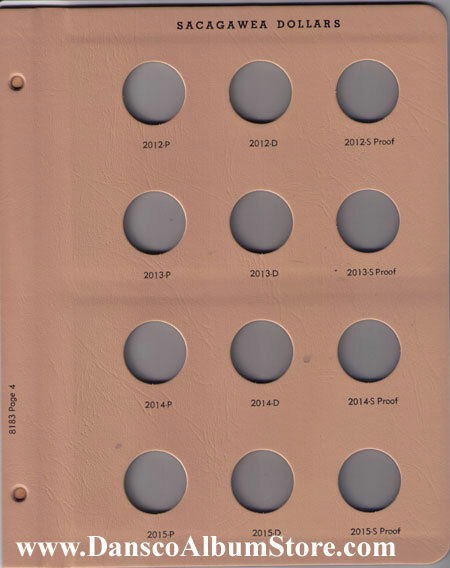 BRAND NEW VERSION!!!! 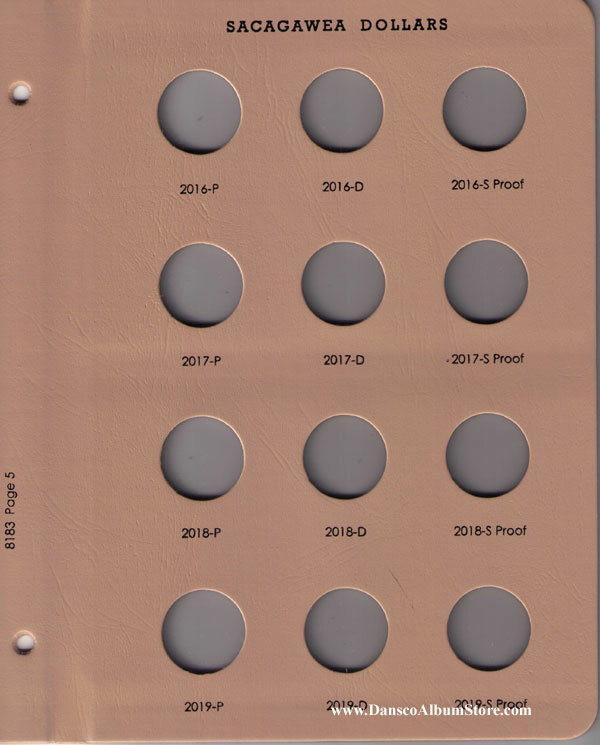 This album now had 5 pages with a 7/8" binder. 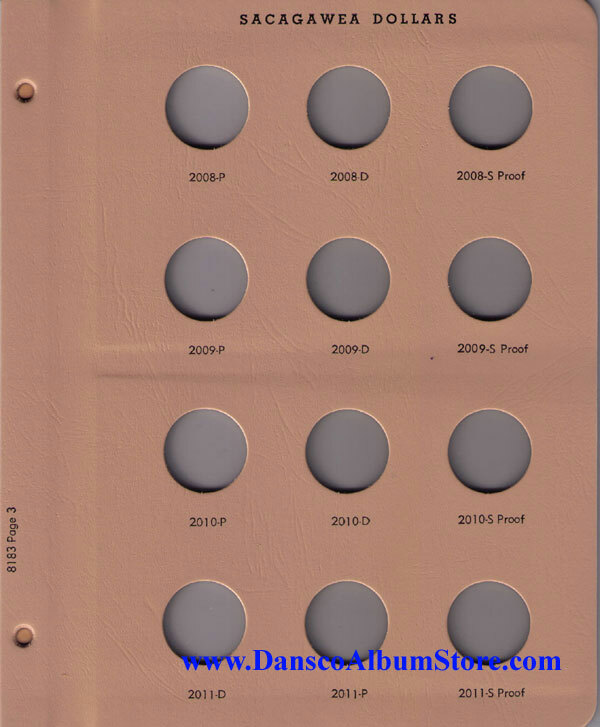 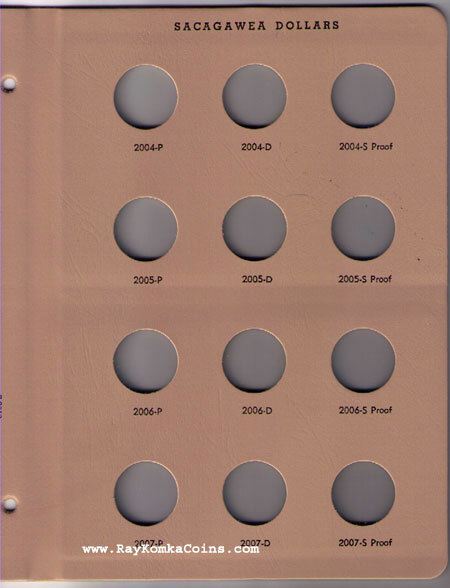 This 8183 Sacagawea Dollar Dansco coin album has a port for all of the P and D uncirculated coins along with the S Proofs from 2000-P through 2019-S Proof. 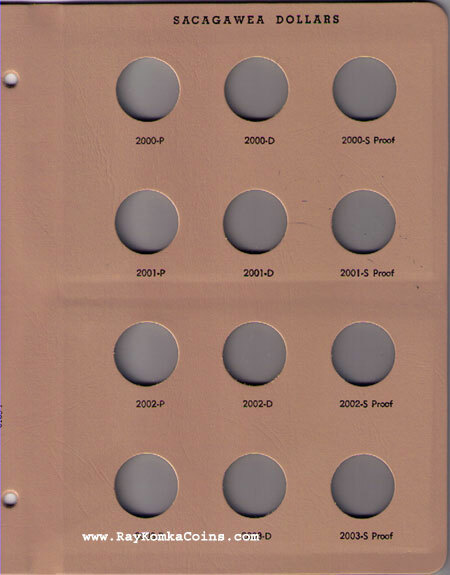 The 2009 - Date coins are also called Native American Dollars ($1).